Grow your business with Mark Your Space truck graphics. In Super Bowl XLIX, advertisers spent an average of $4.5 million for a 30 second spot of advertising. Why? Because they know that success means getting eyes on their brand. You don’t have to spend millions, but you can certainly get more brand visibility by taking advantage of advertising space you already own - your vehicle fleet. Truck graphics are an excellent and cost effective way to get more attention around the streets of Chicago and the surrounding area. Want to improve your brand visibility by thousands of views per day? Then contact us or give us a call at (630) 289-7082 now. Are Truck Graphics Worth It? You might wonder if it’s worth the investment. Consider this: a single vehicle wrap can generate up to 70,000 impressions per day. Those are powerful advertising numbers that translate into more calls and more customers. And with fleet graphics your ad works every single day. You don’t have to constantly take out new ads in print, TV, or radio. Cost analysis shows that the cost per thousand impressions(CPM) is nearly double for TV ads as compared to vehicle wraps. 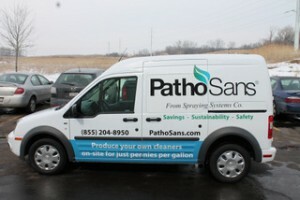 Truck graphics, first and foremost, increase your business visibility and awareness. People rarely make buying decisions at first sight. As your vehicles are seen around town, people begin to recognize your brand which helps build trust. When the need arises for your product or services, your name immediately springs to mind. Truck graphics can also briefly highlight your services. Some potential customers might not even know your type of business exists. When you get your message in front of their eyes, you can inform them about the essentials of your company. The PathoSans graphics are a great example of this. Inform customers with Mark Your Space fleet graphics. Don’t overwhelm the eyes - Keep designs simple without distracting images, colors, or complex fonts. Lots of empty space - Have plenty of space between your logo, images, and other information. This makes things like name brand, website, and phone number easier to read and remember. Be consistent - Make sure your truck graphics match the style and spirit of your office, brochure, and website visual message. Work closely with your wrap provider - Get fully involved in the process, and be certain they listen to your preferences. The best vehicle wrap companies have a standardized process to make sure the customer is satisfied. If you take pride in your business, then every place your brand appears should transmit quality. Vehicle wraps are no different. You want the application process to be performed in an environmentally controlled setting to prevent imperfections and bubbling. Proper care of the vehicle wrap surface can improve the life of your truck graphics as well. Top quality wrap material can last up to 8 years. Once your initial investment pays off, the remaining time is essentially free advertising. So get wrapped today! 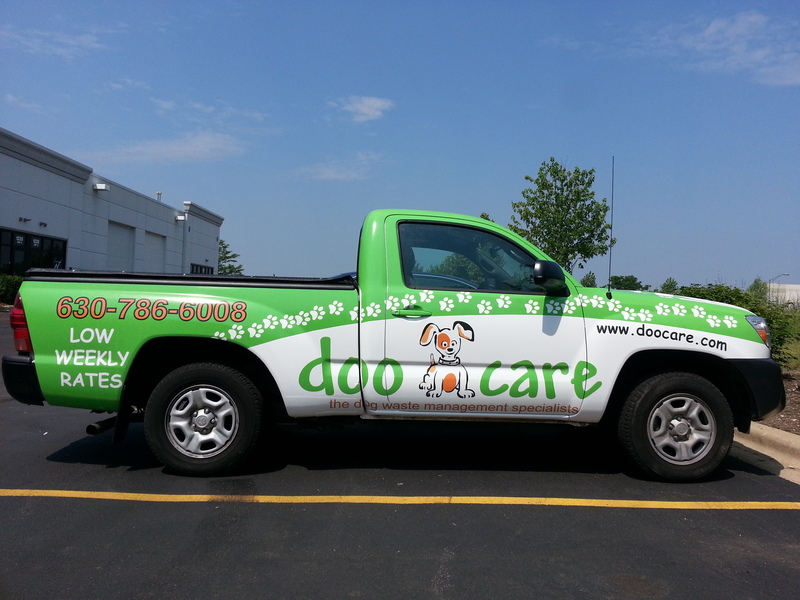 Get more calls and clients with truck graphics. Contact us or give us a call at (630) 289-7082 now. Title: Truck Graphics Boost Business | Mark Your Space | Chicago Area Sign Co.